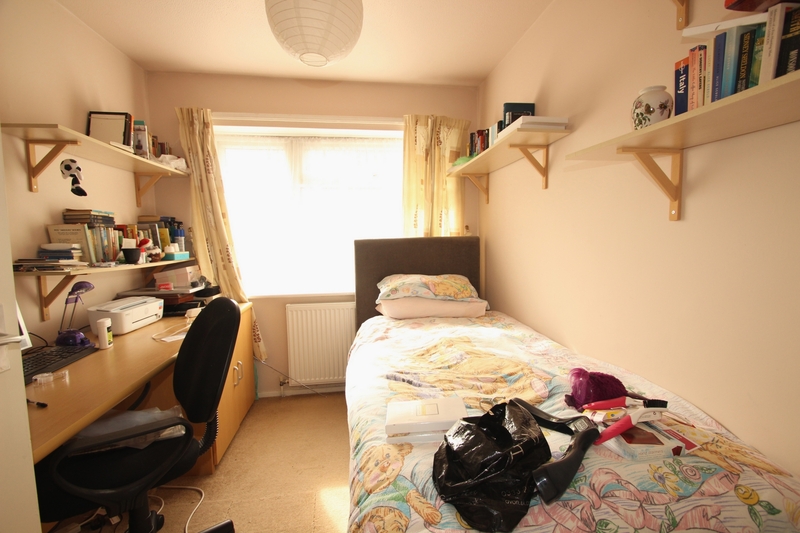 SPACIOUS TERRACED HOUSE IN AN ENVIABLE LOCATION. 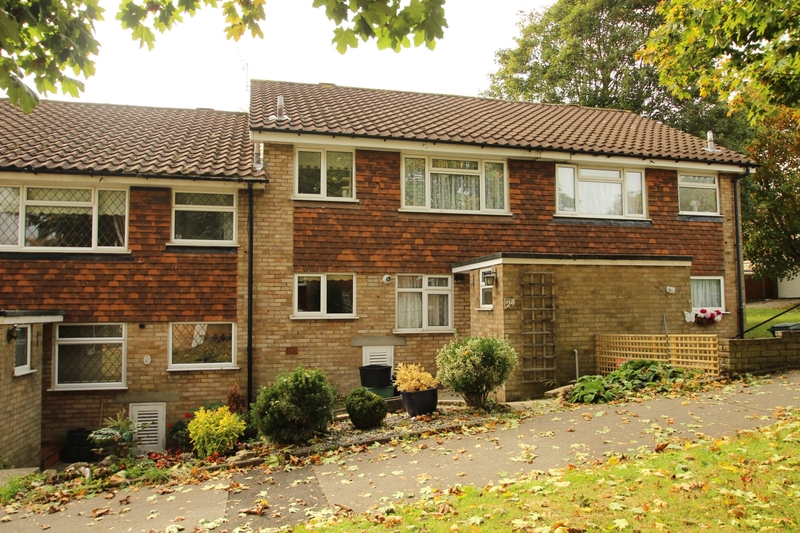 We are delighted to market this very well proportioned and bright property situated in an enviable location being equi-distant to both Orpington and Chelsfield Stations which are approximately 20 minutes' walk and also within the catchment area for exquisite schools. Local shops and services are just minutes away and you will find more comprehensive shopping and leisure facilities in the High Street. 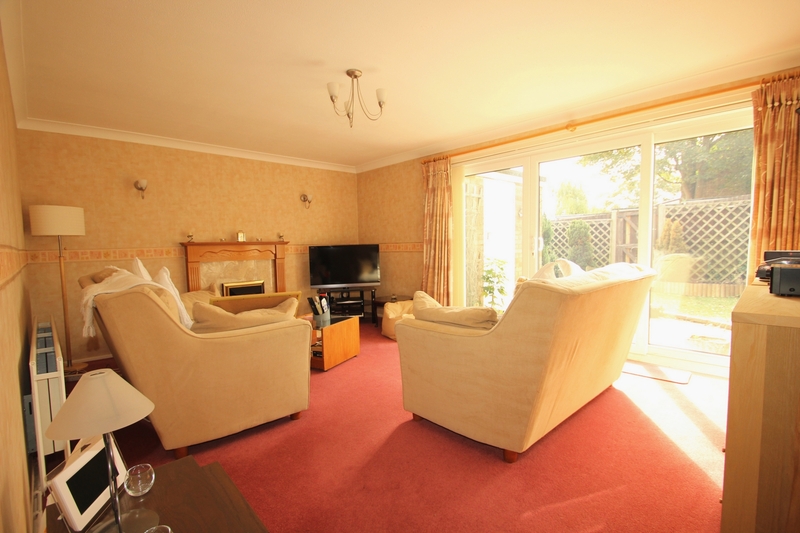 The property provides impressive accommodation comprising of a very sizeable lounge, a dining room, a superb sized kitchen and a cloakroom on the ground floor. 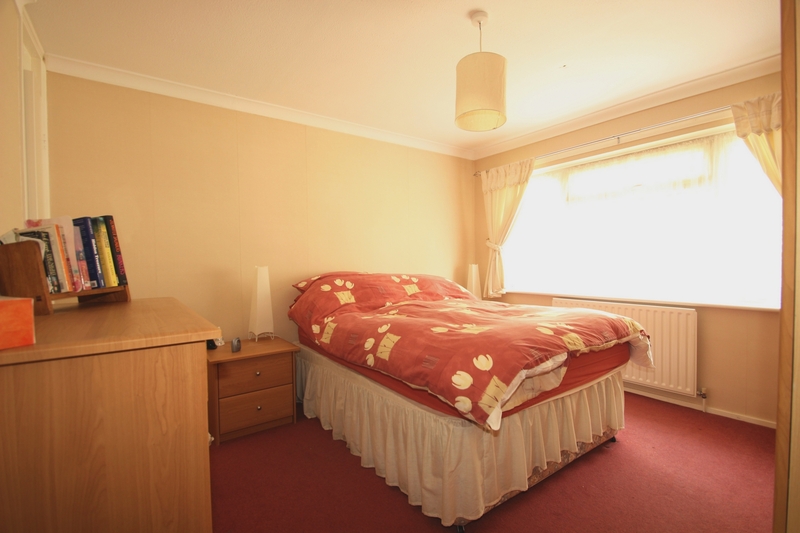 The first floor is equally impressive with 3 excellent sized bedrooms and a fitted bathroom. The rear garden is south facing in orientation and is not overlooked. There is a brick built storage room in the rear garden. 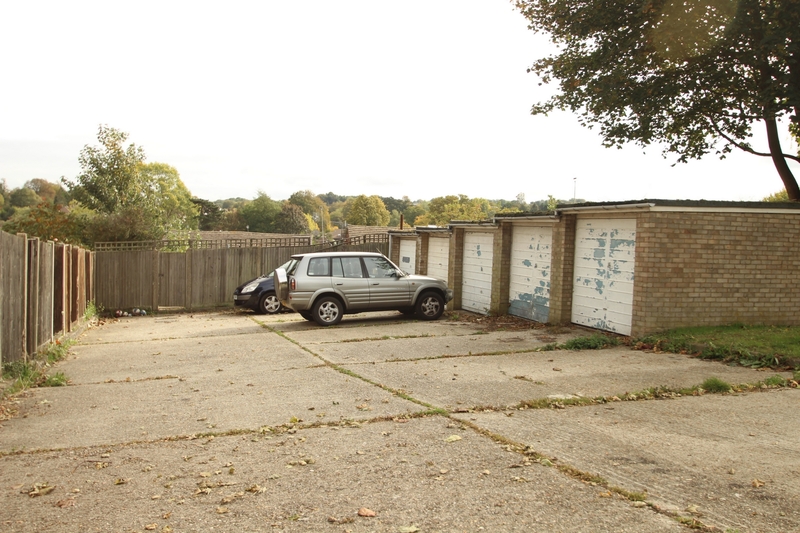 The property also benefits from a garage en-bloc with additional parking in front of it. The road also provide for ample general parking. 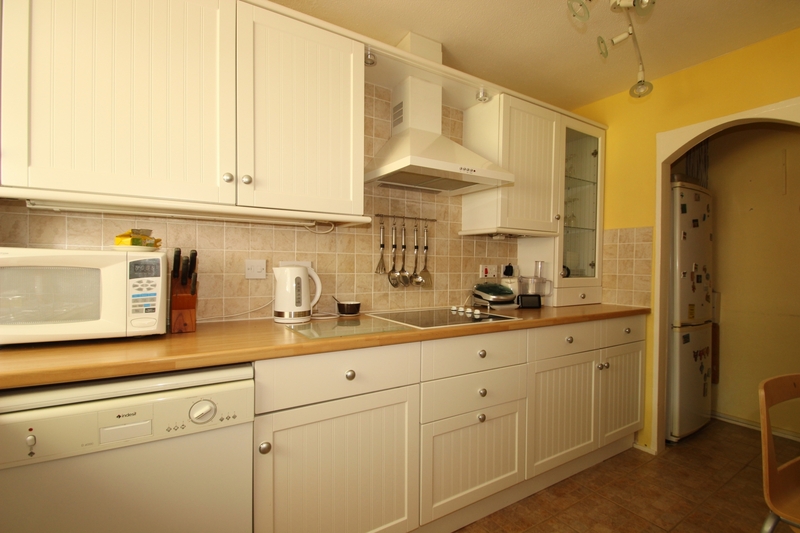 The property is double glazed and has had a new boiler installed recently and is offered in generally good condition. 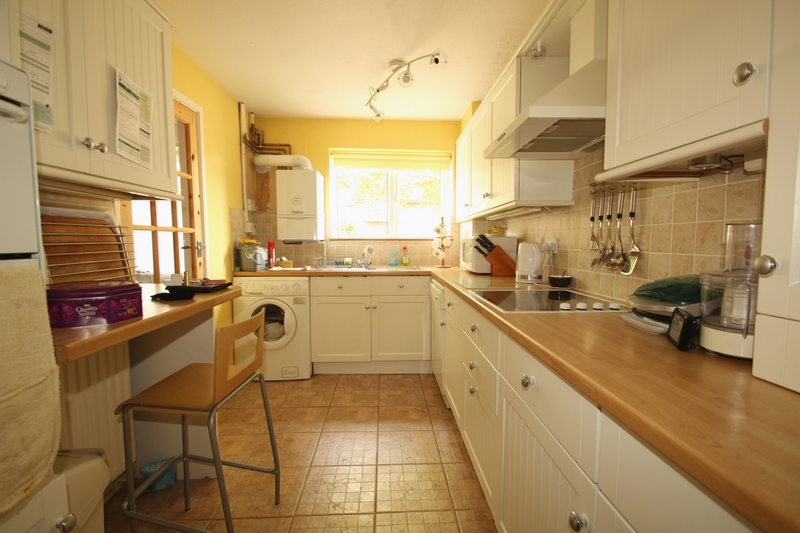 This property is competitively priced and is offered with the benefit of NO FORWARD CHAIN. Double glazed frosted window to the side, low-level W.C., wash hand basin, radiator, vinyl flooring. Double glazed window to the front, staircase to first floor, radiator, coved ceiling, fitted carpet. Double glazed window to the front, extensive range of wall and base units, cupboards and drawers, stainless steel sink unit, working surfaces with splashback tiling, newly fitted Vailliant boiler, integrated hob with hood over, plumbing for dishwasher, plumbing for washing machine, breakfasting area, integrated oven, large larder with ample space for upright fridge freezer, tiled flooring. 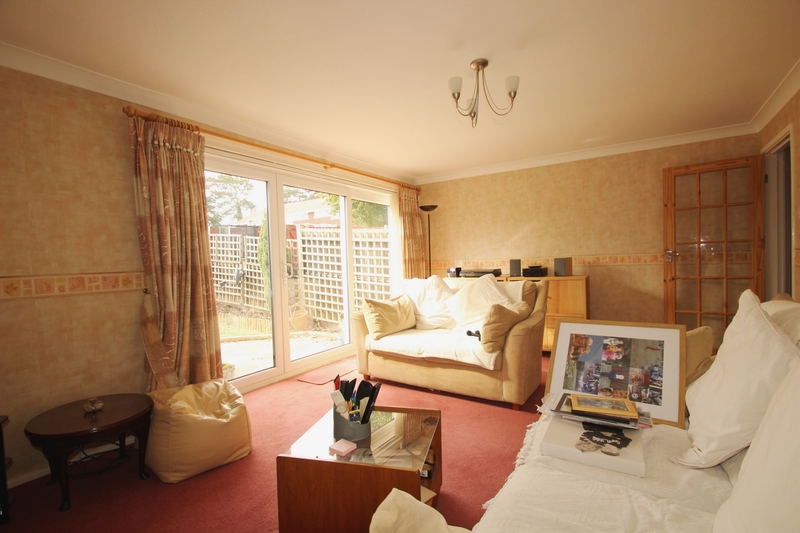 Double glazed patio doors to the rear garden, feature display fireplace, radiator, fitted carpet. 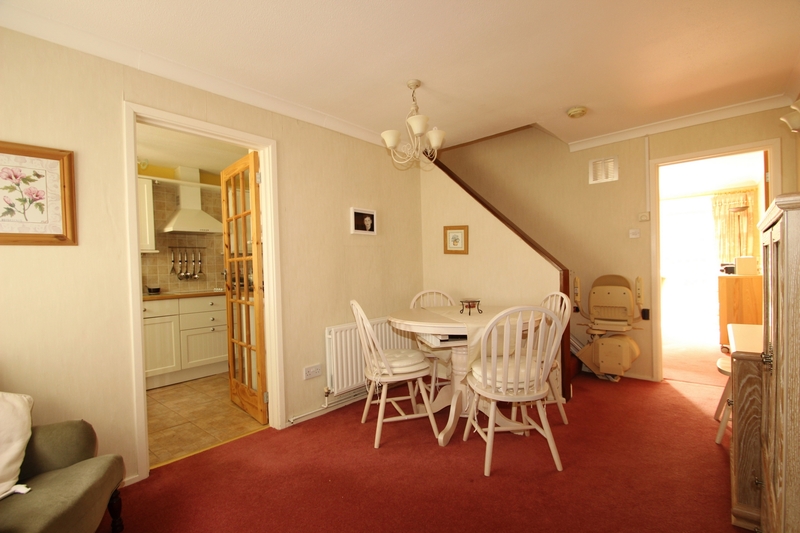 Access to loft via drop down ladder, fitted carpet. 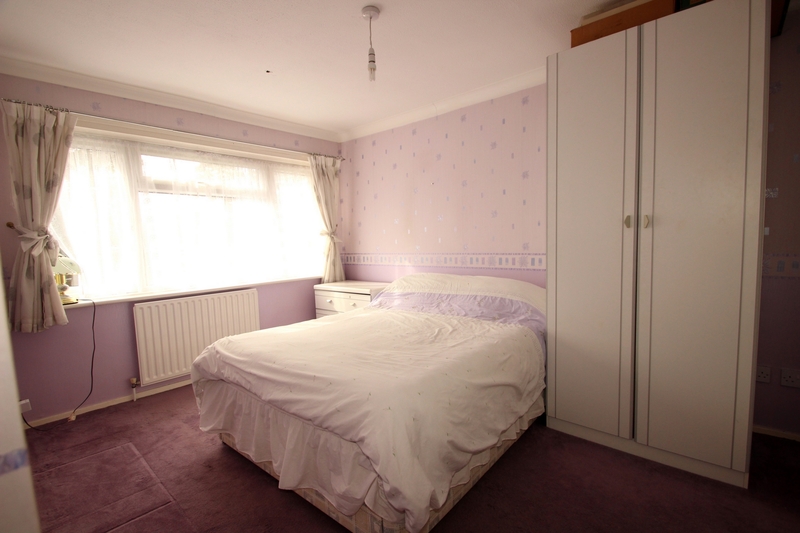 Double glazed window to the front, built-in single wardrobe, coved ceiling, radiator, fitted carpet. 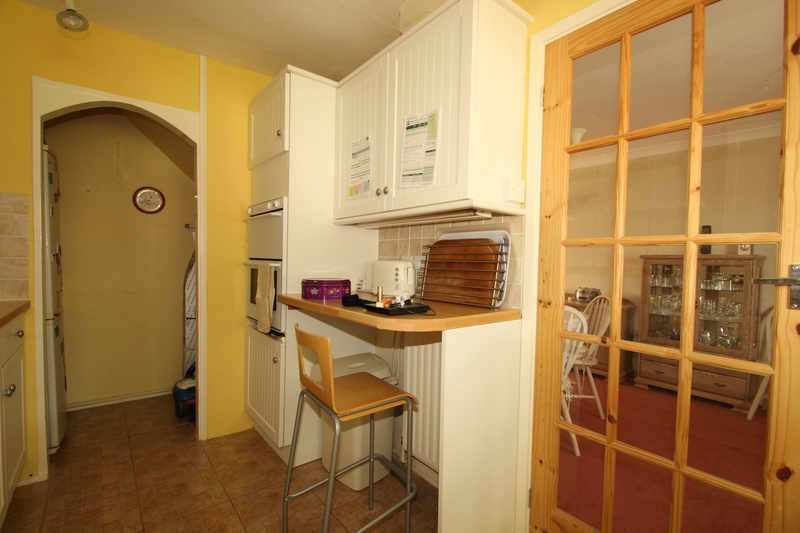 Double glazed window to the rear, built-in single wardrobe, further cupboard housing hot water cylinder, coved ceiling, radiator, fitted carpet. 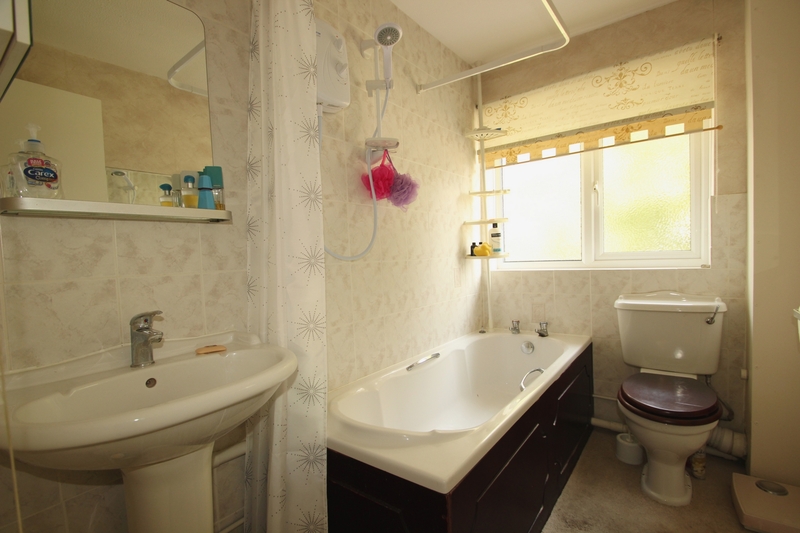 Double glazed frosted window to the front, panelled bath with shower extension over, low-level W.C., wash hand basin, part-tiled walls, radiator, fitted carpet. 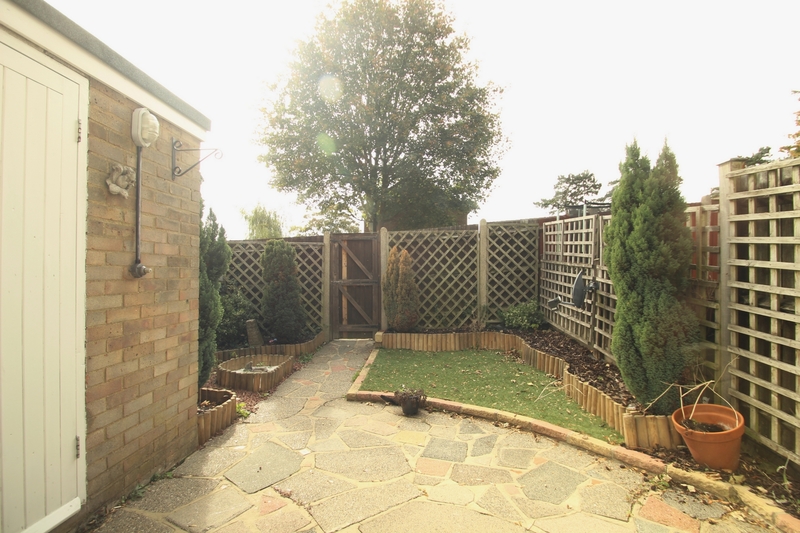 South-facing, secluded, patio area, flowerbeds and borders, artificial grass, gates to the rear leading to the garage en-bloc. up and over door, parking space infront of the garage.